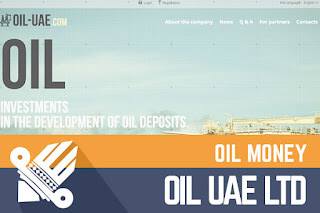 Today I’m going to review a program called OIL UAE LTD. OIL UAE LTD has been online already for three weeks, and it was added on DavidNews Standard listing 5 days ago. At the moment I’m keeping on the program 200$... So I’m curious to find out more about it. The OIL UAE LTD program is a program stating that your money will be invested in commodities. In this case – you are investing in the development of oil deposits. So far I have seen so many different stories, but oil hasn’t been present for a while. Oil is good! So, let’s see what’s under the hood and take a closer look at what else they can offer us except some images with the oil platforms. There are many stories in the HYIP world. At first sight, the story of OIL UAE LTD sounds fine to me, even a little enticing. However, the company name OIL UAE LTD, which is being used everywhere across their website is not present in publicly available Malta company register (the website states that the company is registered in Malta). There is a possibility that this website has outdated information and not all registered companies are listed. Therefore, I did also try to search on Google for the company name with address and still couldn’t find any details. As I wrote, the story sounds fine, but this coincidence of missing company details makes me curious. Most likely the administrator has invested extra time and effort in the development phase because the website has a unique script, which has been created for special for this website. It’s easy to navigate through the main website pages and find necessary information. The overall layout with the clean design makes it a website, which doesn’t force me to leave it few seconds after entering it. Of course, it’s all for a good cause – our reliability and more investments. However, I must admit that the member area is inconvenient if compared to many other projects out there. Then again, it’s a matter of what you have got used to already. 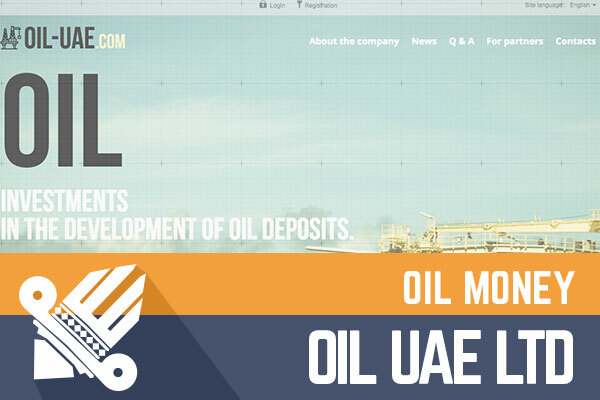 OIL UAE LTD has only one investment plan that will generate 3% for 70 business days. In the meanwhile, initial deposit will not be paid back. From my previous experience, I can tell that such programs are safer because there is a smaller risk of large withdrawal requests from the program at the same time, which can lead to a collapse of it. However, pay attention to the fact that you will start earning money in this program only after approximately 6 weeks. Their investment rate of 3% is accrued only on business days. The good news is that the program allows investments starting from 10$ and it might be interesting for someone as an experiment. OIL UAE LTD accepts payment solutions such as Bitcoin, Litecoin, Perfect Money, Payeer, and AdvCash. Even though the facade of the program looked fine and the story was easy to read, I have some doubts. As I wrote already, I’m not completely satisfied with their investment plan. Also, I have found so far on their website only a post saying that “Company starts working on accepting funds from private investors from around the world. We offer a good rate and speedy payback on your investment”. Therefore, the mix of missing company details and the fact that 3% interest rate is accrued only on business days – it all makes me suspicious about this program and it’s unpredictable nature. However, as always the final call is up to you and it’s your own responsibility to take chances or keep the money in your pocket- don’t invest more than you can afford to lose. Investment plans: 3% daily for 70 business days, initial deposit included in the payments. Join OIL UAE LTD Here!